Posted on October 5, 2016 at 10:53 am. Cleaning your air conditioners coils will allow your A/C unit to run longer with increased efficiency. Experts recommend cleaning them in the spring before your unit is used extensively to combat the summer heat. Doing this will ensure the coils are in good working order before you need your unit the most! 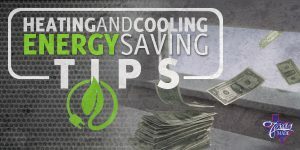 However, you can make it part of your routine maintenance throughout the year, or leave it up to your A/C technician when they perform their annual maintenance on your unit. If you choose to clean the coils yourself, it is advised to start by clearing away any debris from the outside unit such as grass and leaves. Once this is done, shut off the power source to the A/C and remove the outer case allowing you to reach the access panels. Remove the top of the A/C unit being careful not to damage any wires, at this point it can be a good idea to vacuum off any dirt found on the fan and shaft. Sweep away dust and dirt from the A/C coils using a broom. You can even spray the coils with water, or a biodegradable cleaner. The cleaner should be rinsed off and then use this opportunity to look over your coils for any obvious coil fin damage. The next step is reassembling the A/C and then relax, knowing your coils are clean.